muka nawnta means saltwater sisters. Our sisters are Kartanya Maynard, Jodi Haines, Jude Reid and Merinda Sainty. They mix it up with soulful covers and original music from the heart. 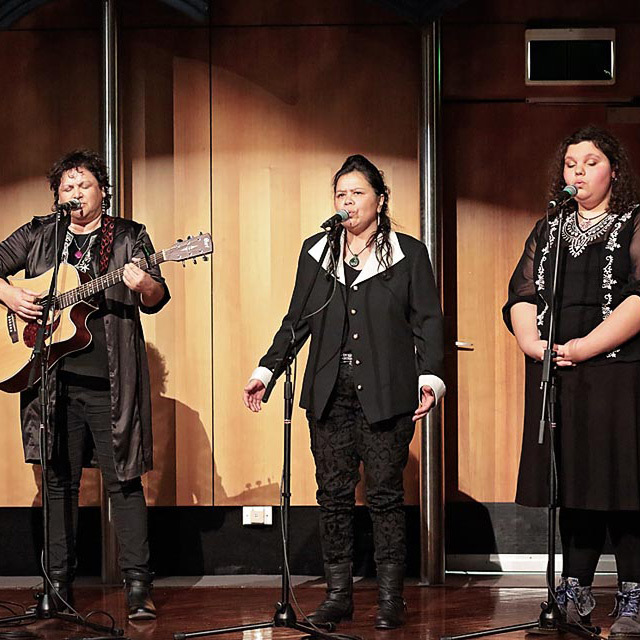 All members of muka nawnta are deeply rooted in their seperate cultures and shared experiences, and this is reflected in their music.